Another year, another iPhone. 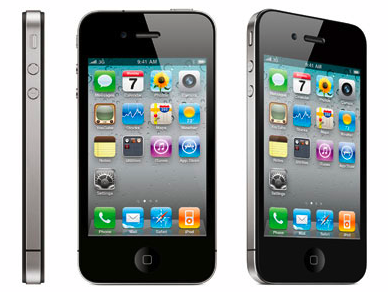 But this year at the WWDC Steve Jobs’ presented something unexpectedly expected, the iPhone 4, and boy is it cute. The ‘traditional’ iPhone front aspect is still relatively intact, but the new side bezel of aluminium is something very new, and indeed very ingenious as it incorporates an antenna. The latest iPhone also features something Apple calls a ‘retina screen’, a screen with resolution so high that your eye cannot perceive the different pixels. A screen the same size as the older iPhones, but with roughly 75% of the pixels of the iPad. That is stunning, and it’s a technology I can’t wait to see on any laptop screen. Twin cameras, front and rear facing, are now present – one replete with LED flash & full HD recording plus the ability to edit movies in situe via a cut down version of iMovie (available at a premium from the App Store), the other camera is set to let you video conference face to face (for now only over wireless). Then there’s the built-in gyroscope, that detects movement in three directions. What the what! Having not held it in my hand, and only from the pre-emptive looks from Gizmodo amongst others, I can only guess how amazing it feels to the touch. Yes, unfortunately, I want one. Will this gadget-lust cost me? Yes, it will. Thankfully I won’t have to wait too long to be parted from my money, as it rolls onto UK shelves on 24th June.